The best sightseeing tour on land and sea! Not all amphibious tours are the same. 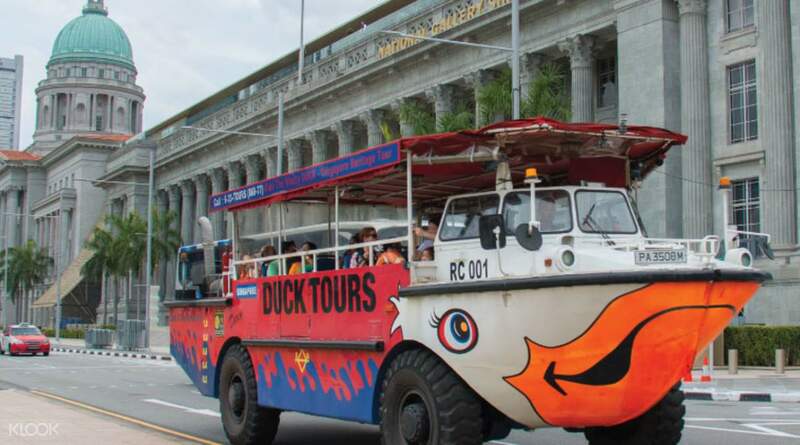 The Original DUCKtours at Suntec City is the Singapore Tourism Award Winning Attraction. 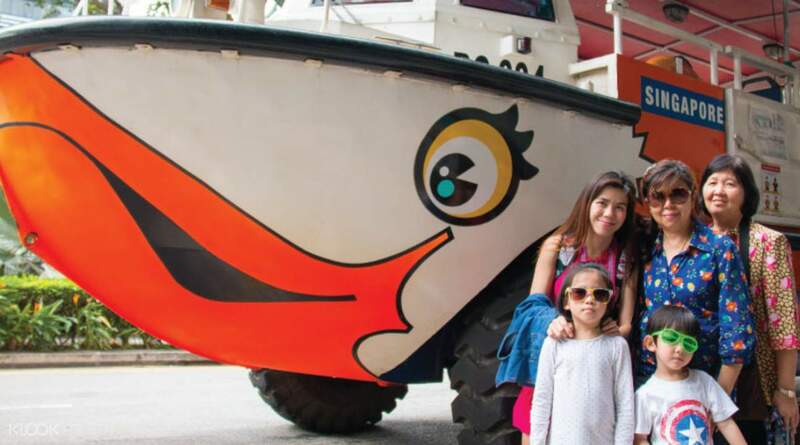 The first in DUCKtours in the country, The Original DUCKtours boasts an impressive 15 year perfect safety record, and 1 million passengers. Nothing else comes close! This hour-long adventure starts with a city tour of the historical Civic District, before splashing into the water and swimming off like a duck for a picturesque harbour tour. Great and wacky fun to be had for all - perfect for the whole family! A must try when in Singapore. To know the history of singapore and all the building surrounding marina bay sands. To know how progressive singapore economy. Listed as one of the most expensive but so beautiful country in the world. A must try when in Singapore. To know the history of singapore and all the building surrounding marina bay sands. To know how progressive singapore economy. Listed as one of the most expensive but so beautiful country in the world. This is good attraction!!! It's so fun:)) But rear seat was very noisy for engine so I didn’t hear tour guide’s voice. If you want to communicate to tour guide, you must sitting on front seat. I recommend this tour. This is good attraction!!! It's so fun:)) But rear seat was very noisy for engine so I didn’t hear tour guide’s voice. If you want to communicate to tour guide, you must sitting on front seat. I recommend this tour. So much fun, a must try attraction in Singapore. The moment entering the water from land is a great experience. And happy to know about singapore heritage site and famous attractions. So much fun, a must try attraction in Singapore. The moment entering the water from land is a great experience. And happy to know about singapore heritage site and famous attractions. This was a great experience, really really enjoyed it and very highly recommended for anyone to experience it, even with children who will have a blast. tour guide was experienced and friendly. This was a great experience, really really enjoyed it and very highly recommended for anyone to experience it, even with children who will have a blast. tour guide was experienced and friendly. Did my booking at Kloop It make my trip easier and cheaper. It's fun.. you get to see Singapore in a different view. Very interesting. Did my booking at Kloop It make my trip easier and cheaper. It's fun.. you get to see Singapore in a different view. Very interesting. An exclusive experience on the road & water with a Vietnam War Era Vehicle. An human-touched guided tour. 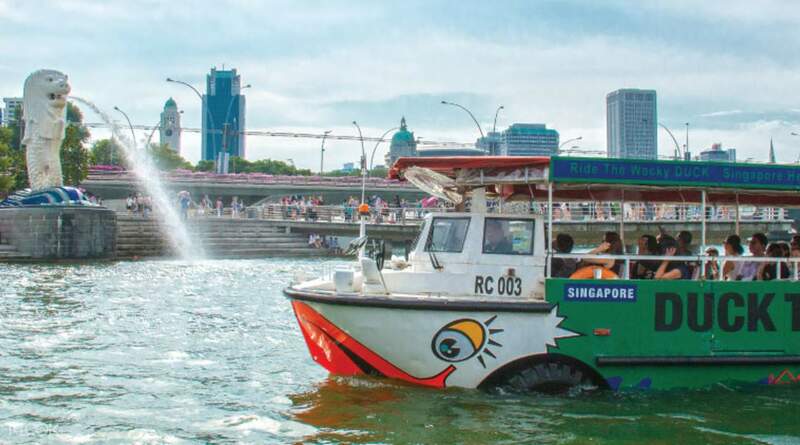 Get a splash when the vehicle is ‘diving’ into the water of Marina Bay. Getting a closer look on Singapore’s main tourist icons. Refreshing & relaxing experience in a breezy surrounding. Getting to know Raffles Hotel-tallest hotel in Singapore with its original sling drink. An exclusive experience on the road & water with a Vietnam War Era Vehicle. An human-touched guided tour. 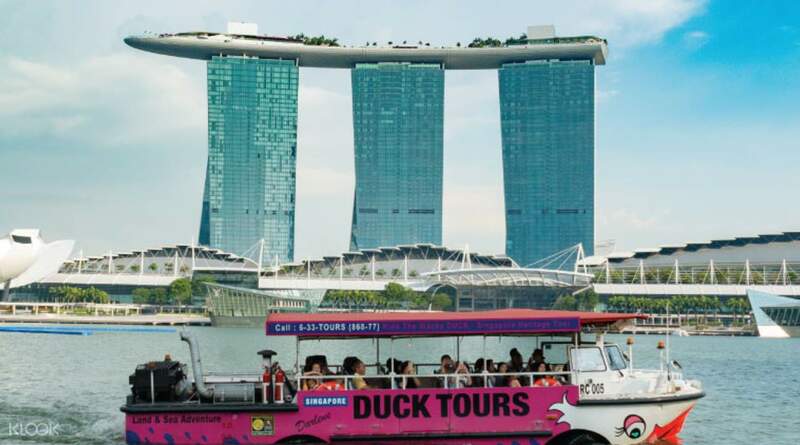 Get a splash when the vehicle is ‘diving’ into the water of Marina Bay. Getting a closer look on Singapore’s main tourist icons. Refreshing & relaxing experience in a breezy surrounding. Getting to know Raffles Hotel-tallest hotel in Singapore with its original sling drink.